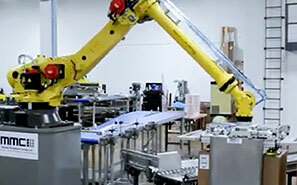 One of the keys to a successful robotic work cell is the design and functionality of the end-of-arm tooling. As specialists in the design of material handling robotics, we can either tap into our vast library of standard end-of-arm tools or develop customized solutions for your specific application. 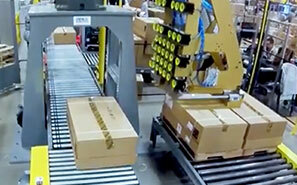 For most bag and case palletizing applications, we can utilize standard grippers and end effectors that are flexible and fully-customizable. 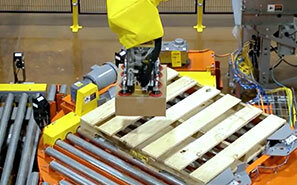 These cost effective solutions can be used for a wide range of robotic automation applications including case, bag or pail palletizing, layered de-palletizing, case packing, pallet handling, and pick-and-place packing. MMCI Robotics also specializes in custom designed and engineered end-of-arm tooling built for your specific application. Custom tools can help increase the speed, flexibility and accuracy of your operations and can be designed using standard plates, framing materials, suction cups, magnets, sensors, valves, grippers and more. To minimize the footprint and improve the speed of the end-of-line packaging process, we designed an end-of-arm tool that picked-and-placed containers into boxes, dispensed pallets and palletized full boxes. 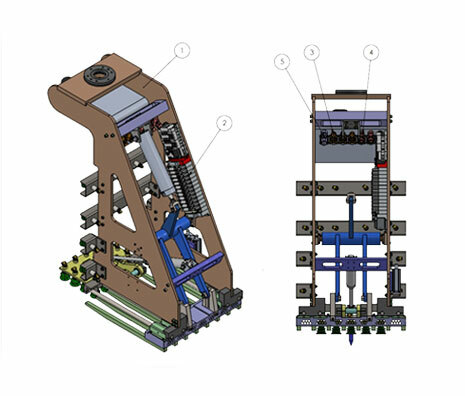 Working with a major supply chain management company, MMCI Robotics was challenged with designing end-of-the-arm tooling that could satisfy a range of processes and be able to palletize products with highly variable sizes and weights without requiring a tool change. 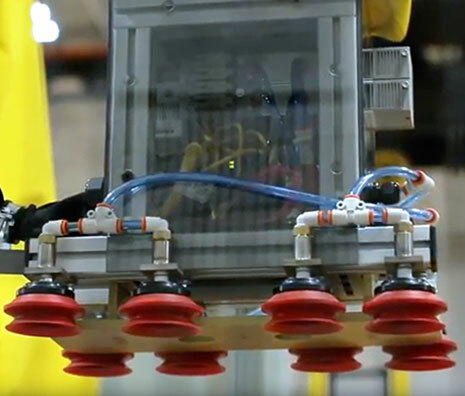 MMCI Robotics integrated a robust EOAT that could handle many different types of packaging, allowing multiple shapes and sizes to be palletized by the same robot.